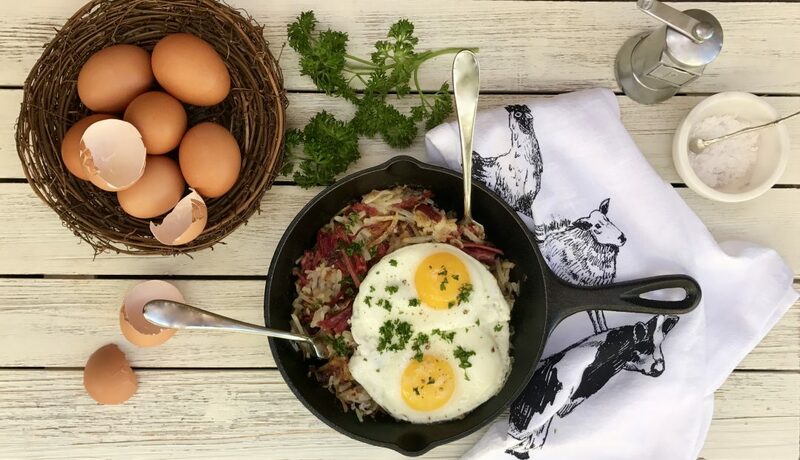 Corned beef hash is a labor of love. It takes commitment, planning, and someone in your family who absolutely loves it. For me, that is my older son, and he could live on it. Well, this and kreplach. While I will do almost anything for my boys, I am a reasonable person. I do not advocate brining your own brisket into corned beef; that takes at least 5 days, and even I am not crazy enough to do that. I do, however, recommend you (1) purchase cured uncooked corned beef, (2) cook it in a slow cooker, and then (3) use it to make corned beef hash. That is what I do in this recipe. 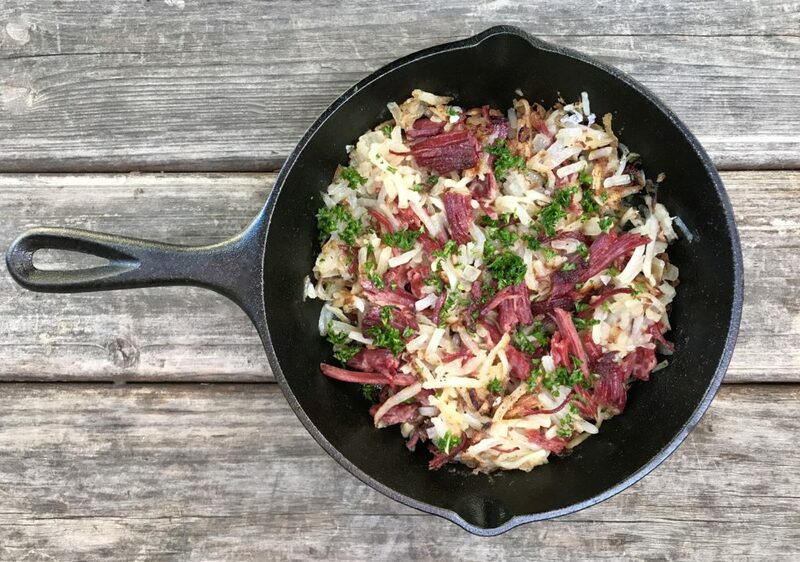 If you have never had a great corned beef hash, try this. If you have had the mushy stuff in a can at some point, look past that experience and reconsider the real McCoy. 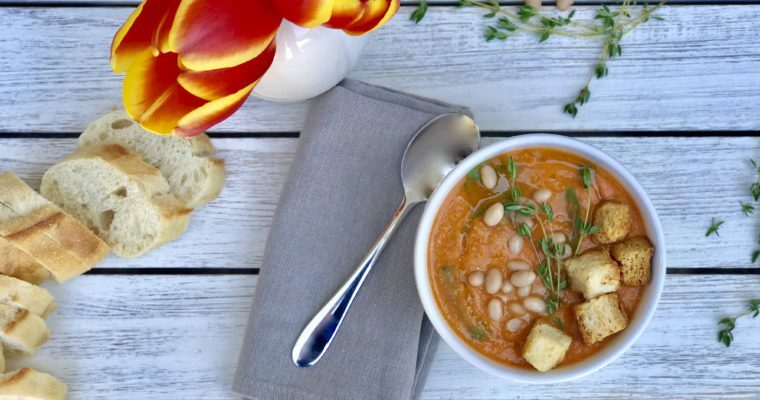 If you are a meat-eater, this traditional comfort meal is absolutely delicious. 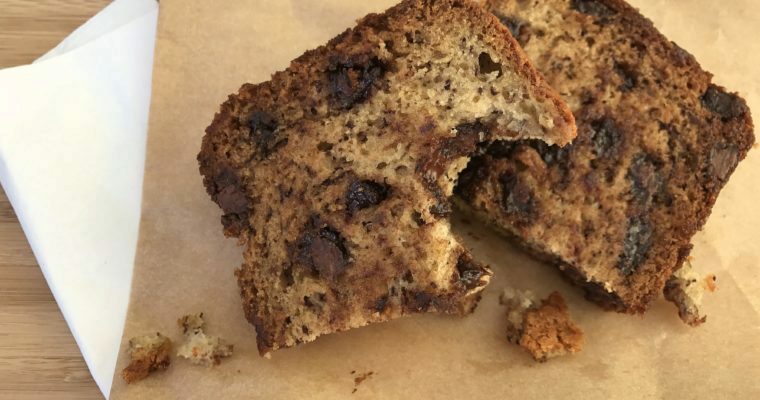 Healthy, this is not. But there is a time for meat and potatoes. When I make a corned beef, I make a big one. I then make a large pan of corned beef hash and then I freeze the remaining corned beef in smaller portions for use at a later date. So if you like this dish, you can make it once but get to serve it 3-4 times without a lot of extra effort. A slow cooker is ideal for gently braising the corned beef. 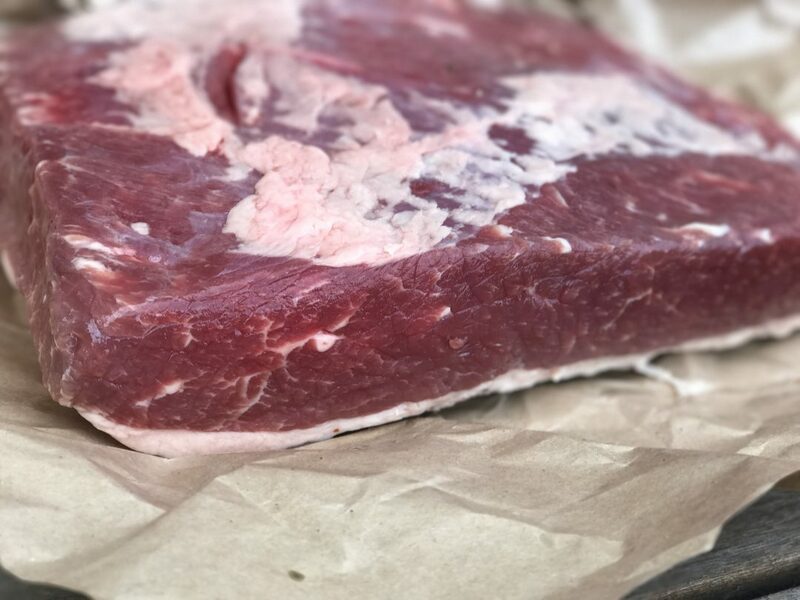 Start with a beautiful cured brisket, which you can often find at the butcher or even the grocery store. 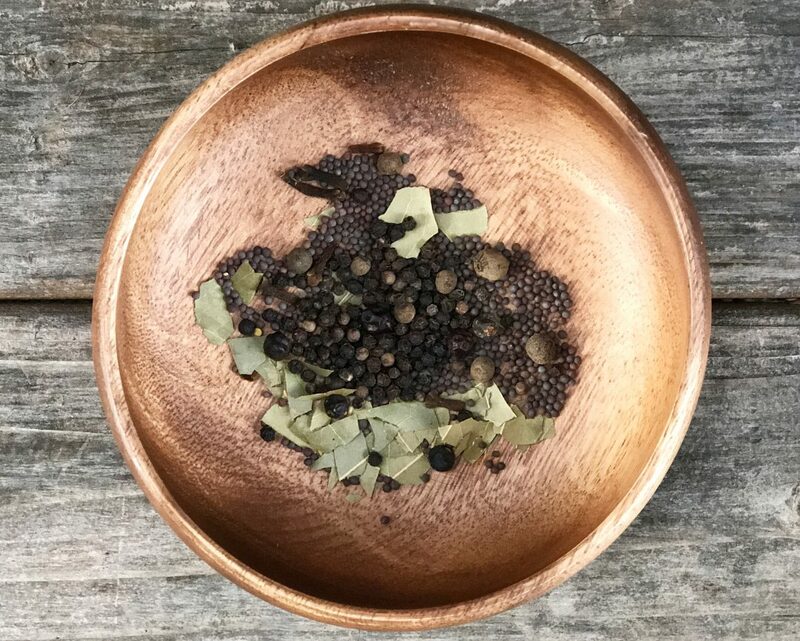 In terms of spices, all you need to cook it is a simple blend of bay leaves, juniper berries, allspice, cloves, black peppercorns, and mustard seeds, mixed with some water. Later, you will trim the fat and shred the corned beef and, voila, you’ll be in business. 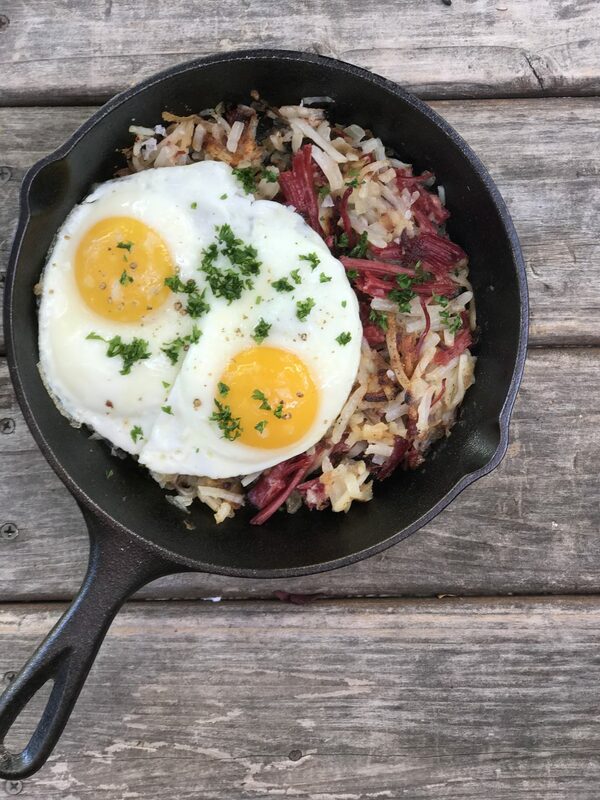 For making my hash, I keep it simple and classic. Shredded potatoes, onions, salt and pepper. Some people add peppers and jalapeños for added kick. Others use cream or cheese to make it richer. I am a purist. Once the hash is ready to serve, add a fried egg on top–and, boom, the breakfast table will fall silent. Step 1 In a small mixing bowl add the juniper berries, allspice, black peppercorns, bay leaves, mustard seeds and cloves. Set aside. Step 2 Using a slow cooker, add the carrots, onions, garlic and thyme. Add the water. Step 3 Place the corned beef inside the slow cooker, fat side up, on top of the vegetables. Step 4 Using your hands, place the seasoning mixture all along the top of the corned beef, pressing gently to adhere. Cover and set timer for 3 hours. Step 5 Once the corned beef is cooked, remove from the slow cooker. Using a slicing knife, carefully remove the layer of fat and discard. Step 6 Slice to serve. Step 1 Shred the potatoes and place them on a colander to drain. Set aside. Step 2 Place a large sauté pan (ideally cast iron) over medium-high heat. Add the butter and when melted, add the onions and sauté until beginning to color. Step 3 Using your hands, gently squeeze out the potato liquid. Place the shredded potatoes into the pan with the onions. Using a large rubber spatula, gently press the potatoes down firmly into the pan. Season the potatoes with salt and pepper. Step 4 Sprinkle the shredded corned beef over the potatoes and continue to cook. Use your spatula to peek underneath to see if the potatoes are beginning to brown and crisp up, about 8-10 minutes. Once you see nice coloration, mix the corned beef so the uncooked potatoes are now on the bottom of the pan. Cook for an additional 8-10 minutes. If the potatoes are sticking, add a good amount of extra butter. Step 5 Continue to cook the corned beef, watching for nice coloration. You generally want a higher flame, but adjust your heat as needed so the potatoes get crispy but don’t burn. Step 6 Remove the pan from the stove. Adjust the seasoning as needed. Serve the corned beef hash hot, ideally with fried eggs on top. Garnish with chopped parsley.